An UPDATE (4/15/19) about my popular book. It is out of print at this time. If you would like to know when it is available again, please email me. 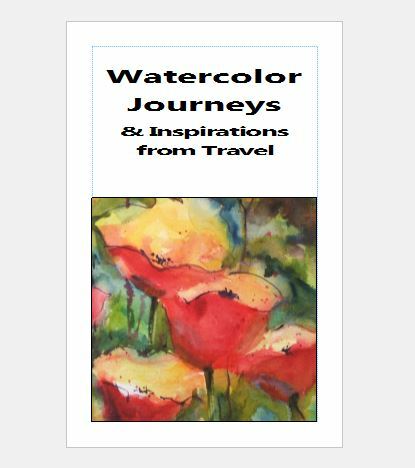 The very latest update, my book Watercolor Journeys has more pages of information and painting lessons than ever before! This is the 7th edition! 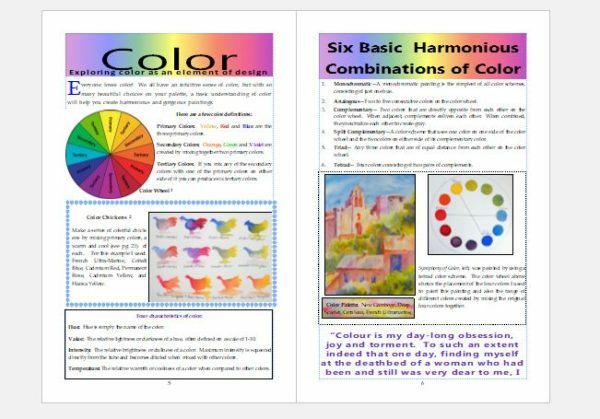 Here is a wonderful DVD all about color! Revitalize your watercolor paintings with color! 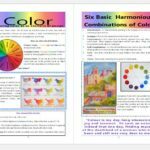 Using the color wheel as your guide, you will unlock the secrets to creating vibrant and harmonious paintings. 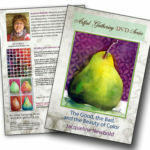 Learn about color theory, successful color mixing, how not to make muddy paintings, and how to understand the characteristics of pigments. Jacqueline will teach you how to make a personal palette color wheel that you will use to create miniature 4″ x 5 1/2″ watercolor paintings that can be bound into a spiral notebook for future reference. Everyone knows how to make a color wheel, but do you know how to use it? With a deeper understanding of the relationships between colors, you will be painting with confidence. WATERCOLOR TOOLBOX is the perfect DVD for the absolute watercolor beginner: how to set up your palette, all about brushes, paper, paints, and more! 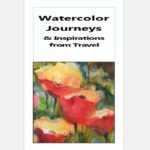 Exploring techniques to get you started on your artistic journey, you will learn the correct way to set up a palette and care for your watercolor art supplies as well as a variety of basic watercolor techniques. This will inspire you to paint! All your examples can be put into a file or journal creating a toolbox for future reference. This workshop is the perfect introduction to watercolor painting! Take your watercolor painting skills to the next level. You will paint along with Jacqueline as she shows how she paints several paintings from start to finish. Composition, glazing, edge control, layering, adding darks, and self-critique is some of the watercolor techniques she will cover in this step-by-step painting workshop. Join Jacqueline Newbold in some watercolor fun! Included will be how to paint loose and how to fix problem areas. Each painting will start with a short “warm-up” exercise. 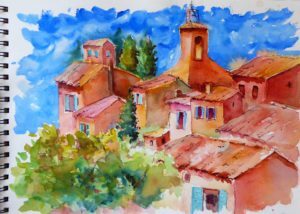 This is a great workshop for beginner and advanced painters that want to improve their watercolor painting skills. 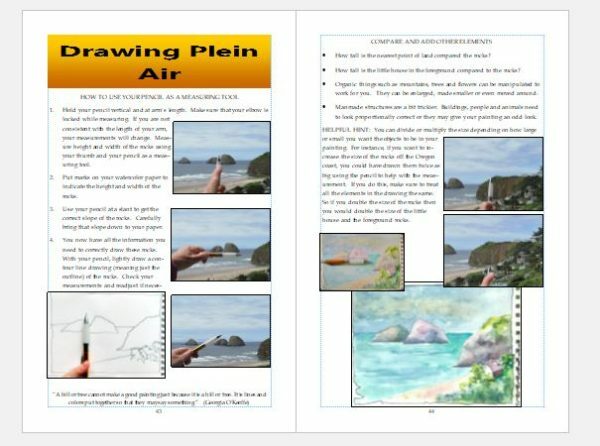 This DVD is a great gift for your watercolor artist! 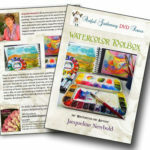 Jacqueline Newbold’s latest DVD is “A Naturalist’s Watercolor Journal”. It is available through the Artful Gathering Online Shop. 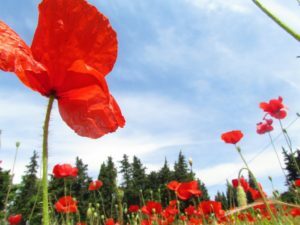 Dive into the colorful world of nature with Jacqueline Newbold! She will guide you step by step as you explore the various ways to use watercolor paints and mixed media to create a naturalist’s art journal. 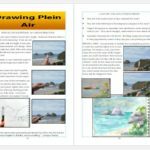 Keeping a journal of your field study notes, drawings, and paintings of the natural world will enrich your experiences with nature and help develop your skills as an artistic naturalist.